Through all of the decorating and planning, through the holiday busyness and rush, through the Christmas parties and family gatherings; a voice whispers ever so gently, "See Me." Amid the carolers and the shoppers, among the gifts and greenery, in the glow of candles and sparkling lights; a voice whispers ever so softly, "I'm here." During the regular, ordinary days, during the difficult, painful days, during Christmas Day; a voice whispers ever so perfectly, "I love you." While the memories pervade, as the loneliness sets in, while the uncertainties linger; a voice whispers ever so sweetly, "I'm your peace." In the shadows of yesterday, in the dance of today, in the hope of tomorrow; a voice simply whispers, "Follow Me." 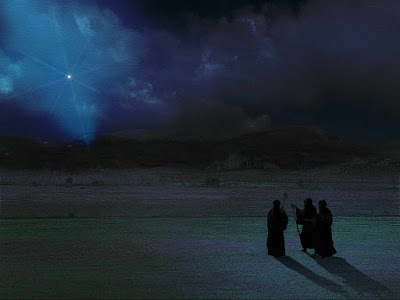 On that night when a newborn baby laid sleeping in a simple manger, on that night when angels and shepherds rejoiced, the Father declared to people of all races and all generations, "All is well. Emmanuel has come. He will save you. Receive Him." Holy whispers still echo through the realm of time. "Today in the city of David, a Savior has been born to you; he is Christ, the Lord." This is Christ the King. This is Jesus the Savior. This is Yeshua the Messiah. "See Me. I'm here. I love you. I'm your peace. Follow Me." This is beautiful, Michelle. It reaches inside of us and quiets us down bringing our focus back on Jesus. Renee, Bethany, Ginny; thank you all so much. Hope you all have a blessed Christmas.